In a perfect world, all nursing students could start their first semester only concerned with four things: comprehension of the material, studying, clinical, and passing the NCLEX. Unfortunately, life gets in the way. We have responsibilities — families, bills, friends, among other obligations — that don’t stop just because we start school, which often entails a nursing school job. Most people with families, and single-income earners, too, need a job during school to survive. 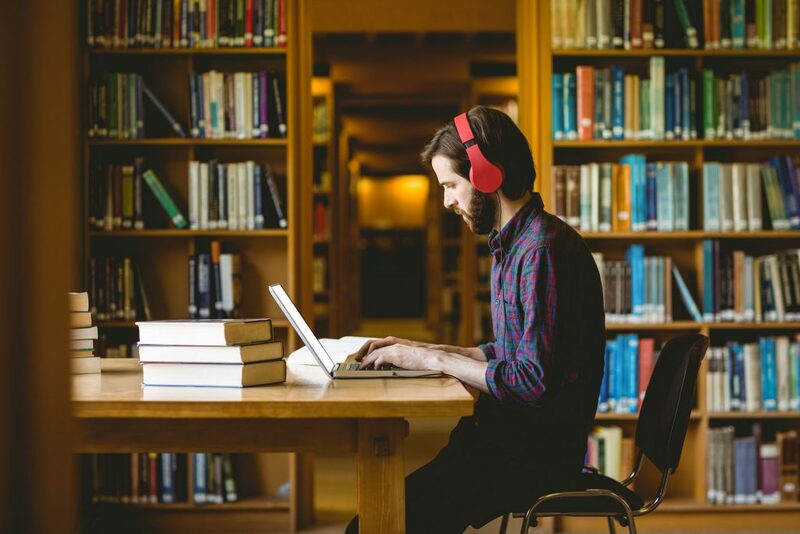 Georgetown University researchers — Anthony P. Carnevale, Nicole Smith, Michelle Melton, and Eric W. Price — found that students enrolled in college work their fair share. Around 25 percent of learners held down a full-time job while also attending school as a full-time student. The numbers may be higher for nursing students with a full-time job. For many of our students, working while in nursing school is unavoidable. We understand (as many of us have been there ourselves), so we’ve compiled some things you should look for in a job to ensure you graduate in one piece and live to tell tale afterward. Flexibility is one of the most important qualities you’ll need to look for when working during nursing school. If you already have a job, sit down with your manager after you receive your acceptance letter and let her know of your plans to go to nursing school. You might need to work out an alternative schedule if your day job and school start to conflict, or maybe you need to reshape your work responsibilities to accommodate the change. However you and your manager work it out, it’s best to be upfront and honest with her from the beginning. It doesn’t matter where you are, nursing school is a huge time commitment. Piggybacking off of flexibility, you need a job where your coworkers and manager will be excited and supportive that you’re following your dream of becoming a nurse. Their encouragement and understanding are appreciated — and needed. Anyone going through a major change in their life will need a little help. Your colleagues might be able to give you some advice if they’ve been in your position, too, or a little boost when you’re feeling the pressure. Having a few extra people cheering you on can make a huge difference every time midterms and final exams approach! Before you begin nursing school, sit down with your finances (and partner, if you have one) and take a serious look at the costs, and your sources of income. We know paying for college is a huge concern, but we believe it can be affordable. At Ameritech, our financial aid department meets with every student, and aid is available for every program to those who qualify. Still, you may need to work to supplement any grants or loans you receive, and the pay from your job has to meet those needs. If it doesn’t, look for any costs in your budget that be cut while you’re in nursing school. Things might feel tight, but remember it’s only for a couple of years. As a nurse, you’re going to be on your feet for long shifts, but your job during nursing school doesn’t have to be so intensive. Working as a receptionist or as a CNA sitter allows more down time for you to crack the books while you’re on the clock. That saves you hours you would’ve spent studying after work. If you prefer immersive studying, many nursing students are qualified for nurse tech jobs once they have at least one clinical rotation under their belts. This has less down time, but the work you do and skills you practice will come in handy when you’re taking the NCLEX. On that note, any job at a hospital or clinic can be valuable before or during nursing school. 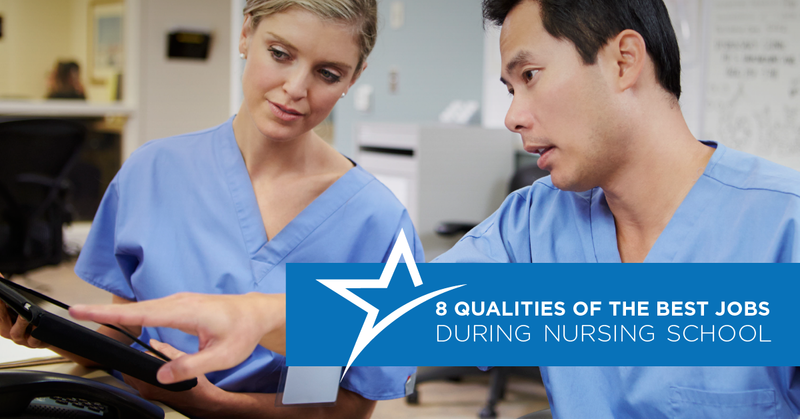 You’ll gain firsthand, relevant experience of what your life will be like when you’re an RN. Better yet, you might find greater flexibility working in a healthcare position because you’ll be around others who understand the demands of nursing school. It’s also a great resume builder and full of opportunities for networking, too! Don’t sweat if you can’t find a job in healthcare during school. Being a nurse isn’t just about the clinical work. You’ll need to collaborate with your colleagues, communicate artfully with patients, manage your time with expert skill, and be able to think critically through nearly all of it. The good new is you can pick these skills up in most jobs. 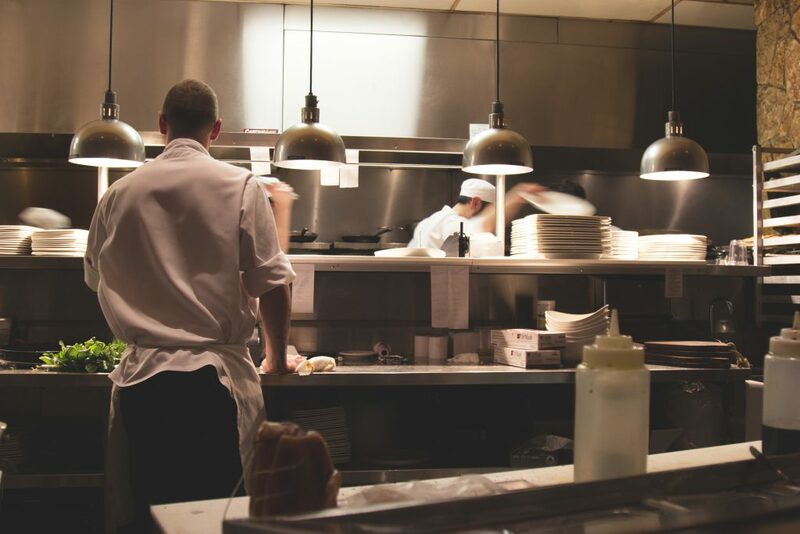 Because school and clinical can seem all-consuming at times, finding reprieve in the form of an office or a restaurant can be a welcome break! If you need to work full-time during nursing school, don’t despair. Not all jobs fit in the 9 to 5 box. Swing shifts, night shifts, or weekend work can add up to full time and anyway be ideal if you need the daylight weekday hours for school and studying. Also, if you don’t mind long shifts (and you probably don’t if you’re interested in becoming a nurse), cramming your work week into a few long shifts will also help free up time for school. Okay working from home? Then don’t pass up the idea of remote work. Some jobs can be performed from the comfort of your home and don’t require you to be available for a full eight-hour chunk of time. This means you can fit in your work when it’s best for your schedule. If you can choose between a high-stress position and a lower one (all other factors being equal), take the job that won’t make you pull your hair out. Some people thrive in deadline-driven, high-stress environments and like the idea of juggling school and a stressful job. Even these people have their limits, however, and almost no one anticipates how demanding and stressful nursing school can be. Adding any responsibilities to your schoolwork is a tremendous feat, so find a job that gives you some respite. Working at a calm, slow pace may provide the perfect balance for the many, many challenges of nursing school. While it’s true that any good nursing school will be challenging and, at times, stressful, it’s also exciting, and it doesn’t last forever. Once you graduate and pass the NCLEX, you can leave your nursing school job behind to become a full time RN and pursue your dream career. It isn’t an easy road, but it’s good, and millions of nurses have paved the way before you. If you have any questions about what it’s like to work during nursing school, feel free to reach out to us.